This could be our next Senator from Iowa. God help us. Peggy Noonan wants arrogant Ebola doctors and nurses to know that her great-aunt came to America from Ireland in steerage in 1909, and didn't do any whining when she was subjected to repeated health examinations. Tucker Carlson finds another liberal straw man to pull out of his hind side. Fox's Charles Krauthammer thinks we ought to at least give anyone being quarantined for Ebola "Guantanamo conditions, you know, good meals, a soccer field, high definition television." 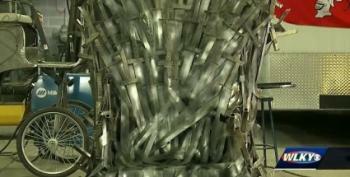 HBO's John Oliver had some advice for New Yorkers on the Ebola virus. Kaci Hickox, a nurse placed under mandatory quarantine in New Jersey criticized the "knee-jerk reaction by politicians" to Ebola which she called "poorly planned" and "preposterous." 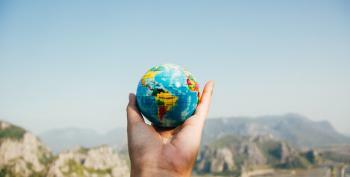 When it comes to dealing with Ebola in the United States, former Congressman Ron Paul (R) and his son, Sen. Rand Paul (R-KY), don't see eye to eye. Republican National Committee spokesperson Liz Harrington lashed out at Fox News host Leland Vittert over the weekend after he asked her about evidence that President Donald Trump committed obstruction. 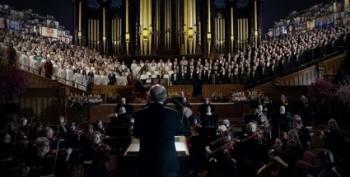 The Mormon Tabernacle Choir sings the Hallelujah Chorus, joined by... the internet? 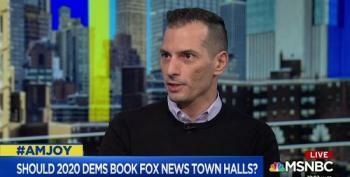 Media Matters president Angelo Carusone laid down the most compelling reason for Democratic candidates NOT to do a town hall on Fox. It's a partnership. Media Matters president Angelo Carusone explains to MSNBC's Joy Reid why Democrats should not be holding town halls on Fox right now. 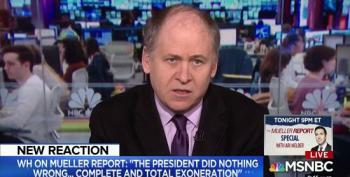 Daily Beast contributor Jonathan Alter takes "Baghdad Bobs" Kayleigh McEnany and Kellyanne Conway to task for their ridiculous "spin" on the Mueller report. AM Joy: If Donald Trump Isn't Impeachable, Who Is? 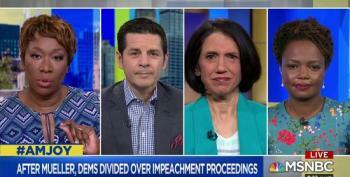 MSNBC's Joy Reid and her panel, Dean Obeidallah, Jennifer Rubin and Karine Jean-Pierre discuss whether Democrats should impeach Trump or not. 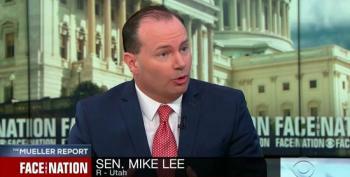 Utah Sen. Mike Lee says he's "confused" by the "tone" of the Mueller report on obstruction of justice. 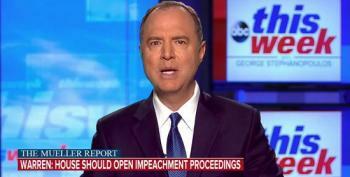 Rep. Adam Schiff refuses to rule out the House taking up impeachment hearings in the wake of the release of the redacted version of the Mueller report.